Handmade of 14K real gold just for you. You may select yellow gold or white gold. 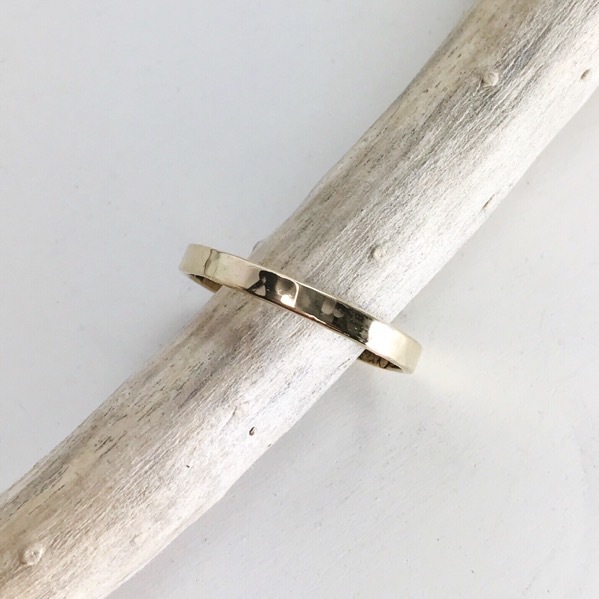 This ring measures approximately 2.6mm wide. Please select your size in the pull down menu. Feel free to send me a message at the email link if you have questions about planning a custom piece of handmade jewelry just for you.